Men are apt to mistake the strength of their feeling for the strength of their argument. The heated mind resents the chill touch and relentless scrutiny of logic. How do we infer causation based on our observations? This is not an easy task. A typical starting point is that we notice that one thing follows another, and then we try to determine whether there is a causal connection between the two. Suppose your phone is not working, and you realize the weather is very humid. Does the high humidity cause the phone to malfunction? This might just be a coincidence, but if this happens regularly, then you might be more confident that there is a causal connection. In a lot of situations, this is indeed how we infer causation. An event A is regularly followed by B, and we infer that A is the cause of B. However, this reliability of this inference depends on our ability to rule out other explanations. When there is a correlaton between events A and B, one possibility is that A causes B. But there are other possibilities we ought to consider. In this tutorial, we list some of these possibilities. So remember them next time when you try to identify causes and effects. It is probably true that whenever a baby is born, someone somewhere in the world will die on the same day. But this is hardly surprising given the number of people dying and being born each day. Any connection between the two is purely an accident. To see whether the connection between A and B is an accident, it is important to consider a control situation where A is absent, and see if B would still occur. This is a very important of scientific thinking. But it applies to everyday life too. Some people think that playing music to plants will make them grow better. But we need to check whether tomatoes growing in similar conditions without the music will grow just as well or not. See also the Simpson's paradox. The diagram above and many other ones can be found here. 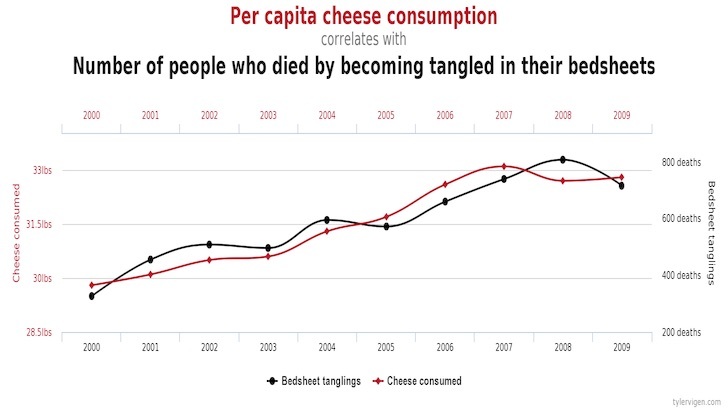 Sometimes correlation goes both ways. 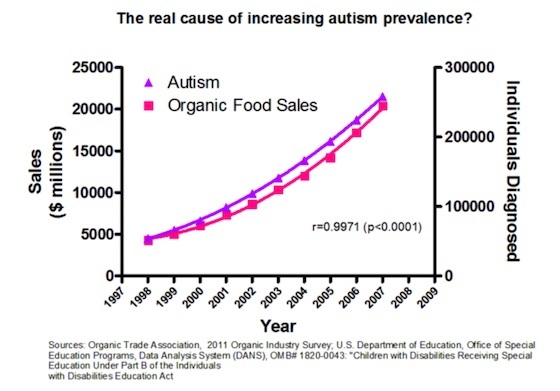 The fact that A causes B can explain the correlation, but maybe the reality is that B is the cause of A. For example, people who are depressed tend to have low self-esteem. Perhaps the former is the cause of the latter, but it is also possible that low self-esteem causes depression by making a person socially withdrawn and lacking in motivation. We need further observations to determine which possibility it is. In many cases two causal factors can reinforce each other by forming a causal loop. In the example above, it is more plausible to think that depression affects self-esteem, and a lower self-esteem can cause further depression. Of course, causal loops happen only between types of events. If a particular event A is the cause of a particular event B, then A must happen earlier than B and so B cannot be the cause of A. Young children with larger noses tend to be more intelligent, but it is not because the nose size somehow accelerates cognitive development. Rather young children with larger noses are children who are older, and older children are more intelligent than younger ones because their brains have developed further. So A and B are correlated not because A is the cause of B, but because there is an underlying common cause. An effect can have more than one cause, and some may be more important than others. These are cases where the effect might be wrongly attributed to A when in fact it is due to some side effect of A. It has been shown that medicine can have a placebo effect. The subjective belief that one is being treated can bring about relief from an illness even if the medical treatement being given is not really effective against the illness. For example, a patient might report that his pain has decreased as a result to taking a pill, even though the pill is a sugar pill with no effect on pain. Suppose these correlations have been observed. For each of them, try to come up with different possible causal explanations. Shark attacks correlate with ice-cream consumption. A recent study finds that people who use two monitors are 44% more productive than those who are using a single monitor. People who consume more expensive organic food regularly are healthier than those who do not eat organic food.